Can I Get a Loan for a Mobile Home? 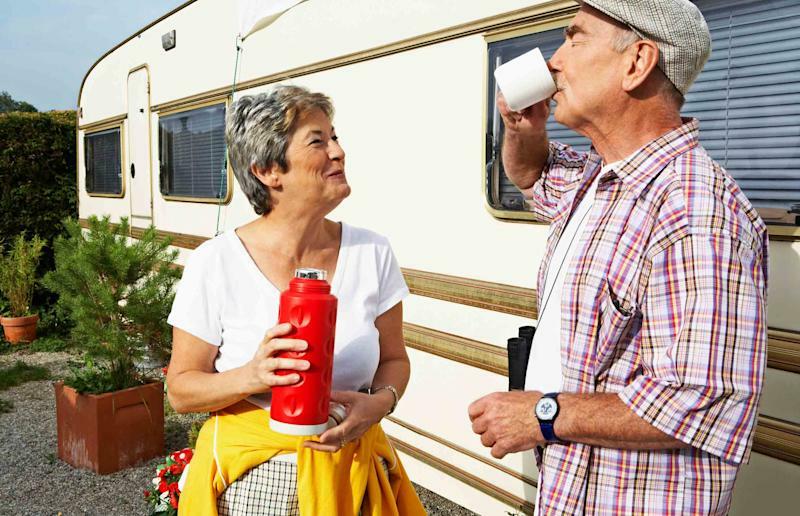 Trying to get a loan for a mobile home? You may be surprised to learn there are financing options available for non-single-family residence houses. Here's what you need to know. Your property type holds all the cards when it comes to whether or not you'll be able to obtain competitive loan terms. (Your financing will also depend on your credit score, with good ones qualifying you for better rates. You can see where you credit stands by viewing your two free credit scores each month on Credit.com.) For starters, you need to own the land. If you own the structure, but you don't own the land, your options become very limited and pricey. The classic scenario is you own a unit in a mobile home park where one entity owns land and all of the people who reside in the complex pay a housing obligation called "space rent." Bank lenders consider this scenario to be a more risky type of lending. And most will not dabble in it, though there are a few exceptions. Other financing scenarios in this space include the purchase of manufactured homes or modular/prefabricated homes. Manufactured homes are bought at a dealership and moved on a flatbed truck to the final destination and affixed to the earth with a permanent foundation. The key here is that the property was already built in its entirety someplace else, then simply moved and subsequently attached. Another unique way to identify a manufactured home is by its 433A form — this is a form filed with the county signifying the property is on a permanent foundation. These properties also have HUD tags, further supporting that the property is indeed, manufactured. If you are looking for financing for this property type, you should know that your options will be limited when the manufactured home is not yet attached to earth. The lender is much more likely to finance the properties already attached to the land — meaning the dwelling and land transfers in the sale when buying the home. The property cannot be in a flood zone. The home structure cannot have been previously moved. The structure must have been built after 1976. Mortgage insurance and impound account for taxes and insurance applies (no matter what down payment). Modular homes are built on site at the property with a permanent foundation. These homes do not have HUD tags — or the strong lending restrictions, generally, that apply to manufactured homes. Financing options for modular homes are similar to single-family home options. If you are looking purchase one of these unique property types, make sure you are pre-approved upfront and provide your lender all of the details. The tiny details left undisclosed are the ones that cause home transactions to go awry. Do not assume a unique property type that is anything other than single-family 1-4 unit home is automatically going to be a slam-dunk. Not sure if your property type is unique? It is always a best practice to bring any and all pertinent information to your lender and real estate agent as early on in the process as possible. Does My FICO Score Matter?